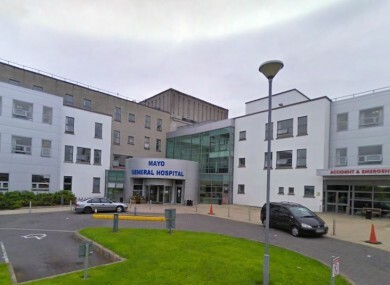 MANAGEMENT AT MAYO General Hospital have confirmed that 12,866 cancer tests carried out using diagnostic kits that have since been recalled are to be reviewed. The Siemens-manufactured kit, used to help detect the risk of prostate cancer, was used at Mayo General between 6 July 2012 and 25 June last, the hospital has confirmed in a statement this evening. The PSA testing kits were recalled on 1 July after they were found to have a positive bias; they were reading 20 to 23 per higher than the standard set down by the World Health Organisation. This incident, which is outside the control of the Mayo General Hospital, is considered to be of low clinical risk in relation to long-term negative outcome for patients. As an additional precautionary step, Mayo General Hospital will review all the 12,866 tests carried out between between July 6, 2012 and June 25, 2013 to establish how many had an elevated reading to determine if any further actions are necessary. The kits are used to test for PSA — a protein produced by the body, high levels of which may indicate the presence of prostate cancer. A clinical prostate assessment to include a digital rectal examination and the second PSA test is therefore undertaken prior to biopsy in order to confirm the diagnosis and initiate treatment if required. Tonight’s statement from Mayo General Hospital follows the news that that 145 patients who used the diagnostic kit at Connolly Hospital in Blanchardstown are having their results reviewed. According to RTÉ News, the HSE is to review those particular cases as their results may have indicated a further need for investigation. Email “Mayo General to review almost 13,000 cancer tests conducted on recalled kits”. Feedback on “Mayo General to review almost 13,000 cancer tests conducted on recalled kits”.